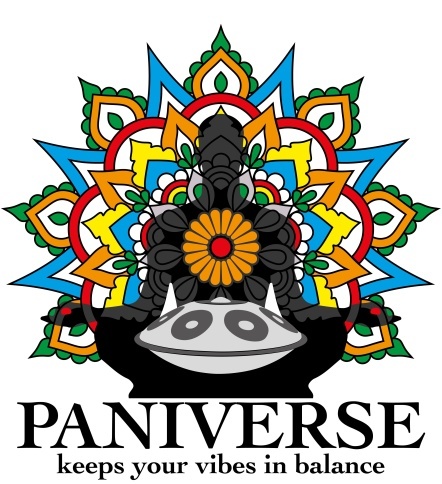 PANIVERSE – WORLD of HANDPANS » festivals • music • projects • video » Who will perform at the GRIASDI 2016 ? Preview #1 – NADISHANA-KUCKHERMANN-METZ TRIO !!! The GRIASDI 2016 HANDPAN & WORLD MUSIC Festival is happy to announce the NADISHANA-KUCKHERMANN-METZ TRIO as one of the HEADLINERS at the GRIASDI 2016. Dont miss their performance on Saturday 30th July 2016 at the Bäckerberg/AUSTRIA ! This trio is exploring the possibilities of the Hang drum and other handpans in the context of ethnic woodwinds, worldpercussion and electric bass. Each member of the trio is well known in the world music community as a virtuoso performer and composer. Combining their skills, Nadishana, David and Armin are bringing fresh vibe to the world-fusion scene. David Kuckhermann: After studying with teachers such as Glen Velez, Behnam Samani, Ramesh Shotham and Ustad Fayaz Khan David created his personal style, incorporating techniques and rhythms from the hand drumming traditions of Iran, India, Egypt, Europe, Turkey and Africa.In 2011 David discovered the Hang and the instrument family of handpans. They broaden his instrument range and add melodic and harmonic options to his repertoire. In 2012 he released his first Solo CD “The Path of the Metal Turtle” with music for Hang and Handpans. Vladiswar Nadishana: Nadishana is a multi-instrumentalist, composer and sound designer from Siberia, who creates his own unique and innovative approach to world fusion music – the creative synthesis of different musical traditions of the world on the basis of contemporary technologies. He plays on more than 200 instruments of the world, including self-created ones. During his living in small village in South of Siberia Nadishana established “Sound Microsurgery Department” (SMD). SMD is a creative research laboratory handling a wide variety of projects: from mastering unknown ancient musical instruments to elaborating new creative methods of work with digital audio. ← Brand new HANDPANS TO BUY & Handpan Tuning Service at the GRIASDI 2016 Handpan Festival !